Yadier Molina is returning to the All-Star Game for a ninth time. 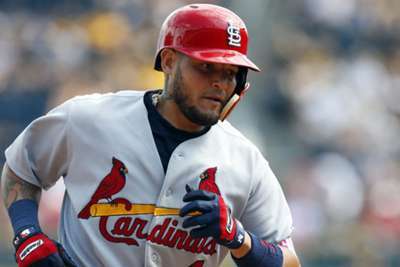 Left off the lineup announced on Sunday, Molina was named on Monday to replace San Francisco Giants catcher Buster Posey, who will sit out the game to rest an ailing right hip. Posey is scheduled to receive a cortisone shot as the Giants head into the All-Star break. Molina will serve as the backup to Chicago Cubs catcher Willson Contreras for the National League (NL). The 35-year-old Molina is having a big year at the plate. Despite missing a month to injury, he has 13 home runs in only 212 at-bats, and is slashing .278/.320/.495. Molina has now made the All-Star Game nine of the past 10 seasons, missing only in 2016. He joins Cardinals starter Miles Mikolas, who will be making his first All-Star appearance. And the pair could be joined by Matt Carpenter, who is one of the five NL finalists vying for the 2018 Camping World MLB Final Vote.